Take-aways: Multi-disciplinary projects are good! Incorporating musicians as well as dancers in a cultural diplomacy program allows an expanded outreach, particularly in a country such as Jordan where cultural norms present barriers for dance and not for music. We reached many different populations in Amman and saw progress and development from our first exposure in 2004. This is the other take-away -- repeated visits to a particular country multiply the impact exponentially. Achieving this goal, however, is problematic for performing arts groups because it is hard enough to get the support needed for one tour; but convincing the State Department and other funders to set aside money for repeated visits is much harder. The State Department, like all USG agencies, has a phobia against “sole sourcing” which means working with the same contractor (in this case, yes, you are a contractor) over and over again. Fortunately, some Foreign Service Officers who experience the growing effectiveness that derive from repeated visits embrace the added value -- but whether they are willing (or permitted by their superiors) to skirt the rules is another question. Cultural Adaptation: At the time that we visited Amman, it was thought necessary for us to adjust the women’s costumes – covering bare arms and legs. Our costume designer, Sole Salvo, handled this problem imaginatively without compromising the silhouette and impression of the costumes, by using silk chiffon to create sleeves in one case, and tights and/or unitards that maintained the body lines but covered the bare skin that would have offended some in the audience. Political Issues: 2005 was a difficult time to be performing as a representative of America in parts of the world where administration foreign policies met with grave opposition. Most of the time, we occupied a bubble of blamelessness – after all, we were artists and not politicians – but occasionally we ran into trouble. Our event at the University of Jordan stands out as the most blatant example: the auditorium was half-empty for a free lunch-time lecture demonstration that would ordinarily have been packed. During the Q/A with the audience, several students expressed their apologies for the lack of response on campus. They said that student groups had circulated flyers urging people to boycott our event as an expression of disapproval for the Bush Administration and the Wars in Iraq and Afghanistan. We were sad but understanding and appreciated the kindness and warmth shown by those who broke ranks to attend our performance. Bureaucracy: The obtaining of visas and performance licenses was facilitated by the very capable staff at the U.S. Embassy, so we encountered less issues than we would have expected in this conservative country. 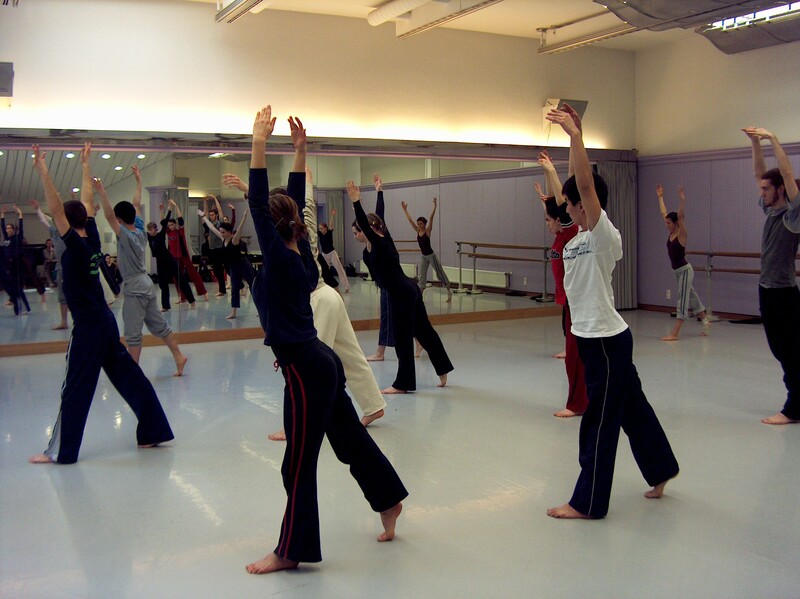 In 2005, BDC sent Lydia Tetzlaff to teach dance to a large cross-section of dancers based in classical ballet, contemporary and modern dance techniques. Her goals were to teach both aspiring dancers and non-dancers new techniques that are otherwise unavailable to them, and to open much needed lines of cross cultural communication between America and the Middle East. BDC's goals were met beautifully- the entire trip was more successful and rewarding than BDC could have hoped for. Lydia taught up to 50 students of extremely diverse religious and socioeconomic backgrounds. 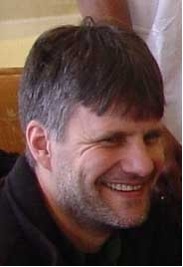 The overall format of the program was effective, and the scheduling was appropriate for the time allotted on this trip. Lydia taught three or four classes a day, and had two days off per week. Two weeks in Jordan was more or less sufficient, although she says that more time would have permitted her to work more intensively with each group. The responses she received from each group were that they would have appreciated quite a bit more time, and are all extremely interested in her returning for a continuation of the program. In Jordan Lydia spent most of the first week in Amman working with students of the Noor/Hussein Performing Arts Center under Director Lena Attel and Deputy Director Rania Kamhawi. 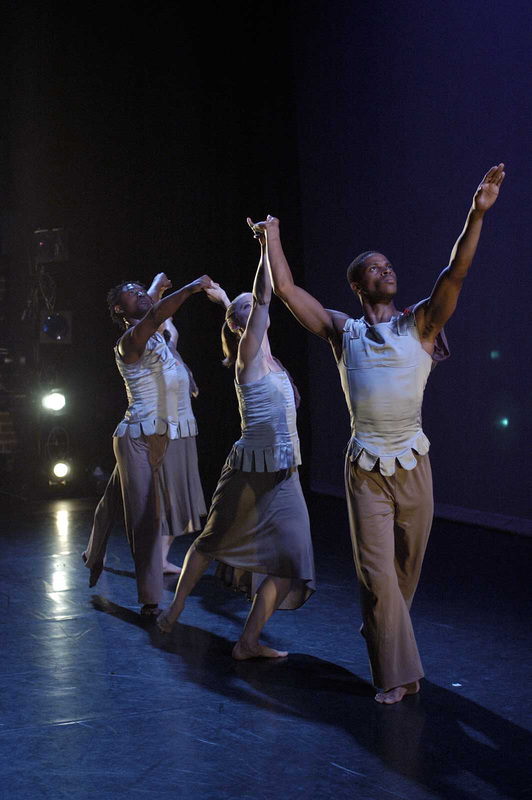 They have an outstanding school where they train local students in dance and theater, and work directly with the community in order to expand the acceptance for and appreciation of the arts. 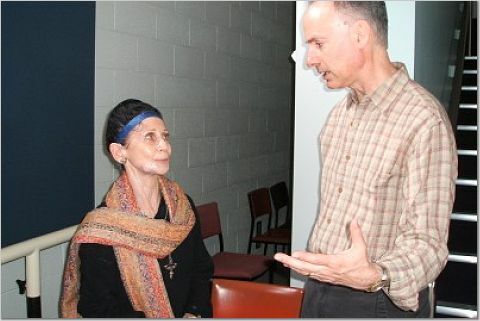 Lydia taught 15 classes to Jordanian students ranging from 10-30 years of age. One thing of note is that the families of the students ordinarily do not allow their girls to take more than two classes per week, but Lydia had the older group for seven classes in the week's time. This was a testament to both their as well as Ms. Kamhawi's interest in Lydia being there as an American teacher from New York. Lydia taught 9 classes at the SOS villages in Amman and Aqaba, Jordan. The SOS villages are for orphan children of various ages and backgrounds, and they employ surrogate mothers to raise the children as their own, educating them and preparing them for a fulfilling life in society. They are wonderful, altruistic, non-governmental organizations that provide an unbelievable service for these children. They rely completely on private donations and volunteer services, and both had never received any dance classes before their experience with BDC. The children in Lydia's classes ranged in age from 5-10 in Amman and 6-26 in Aqaba. In all cases, their fascination for and appreciation of Lydia being there as an American was significant. Working these children goes a long way in opening communication and dispelling stereotyped misconceptions about Americans. In Amman, Lydia also worked with the Haya Cultural Center, a long-standing organization that has recently changed administrations. Due to this change there were some difficulties for Lydia in organizing the workshops. For instance, there had been a plan for Lydia to teach Iraqi UNHCR children, but it fell through in the administrative, changeover. Lydia was able to observe their class, and it was wonderful. The new General Director of Haya, Dina Abu Hamdan, also a former member of Caracalla for 10 years, is visionary, with a great desire and willingness for cooperative programs like Culture Connect. Haya offers local children a safe, enclosed environment in which to spend their summer days engaged in an assortment of activities. The result is a group of children enjoying the process of learning different artistic skills. With them, Lydia taught 5 classes of children ranging in age from 6-16. BDC's time in the Middle East received a good deal of press, including articles from two newspapers, One English and one Arabic, and an article in a new arts Magazine schedule for November 2015 in Amman. I feel that the need for positive examples of American citizens is palpable, and everyone that I interacted with was eager for this kind of human interaction. Every student, teacher, and organizer expressed sincere gratitude for my coming, as well as strong and numerous invitations to return on a regular basis for more and longer programs. For the youngest children that I taught, they will have early positive memories of their 'American Teacher' that they will take with them for the rest of their lives. My hope and belief is that direct sensory impressions like this last longer and have more impact than any negative things that they may hear in other areas of their lives. The directors and dancers of Maqamat and Caracalla warmly and openly welcomed me as an American dancer and teacher to share the diversity of my career and background and expertise with them. Since they are both professional companies with significant exposure in the local media and society, the positive cultural effects of my interactions with them are huge, especially with my being an American in the current political climate across that part of the world. Building a continuing relationship with them through Culture Connect would be invaluable. The benefits that I received personally and professionally on this trip are more than I can express in words. Personally, both the richness of the cultures with which I interacted as well as the hospitality that I received has given me insight into and understanding of people that I probably never would experienced otherwise. It has deepened my desire to learn and listen more and to judge less. It has deepened my belief that from one side of the world to the next people are people, and that we can create substantial and lasting peace just by sitting down with someone we perceive as vastly different from ourselves and having an engaged conversation, or share a dance class. Professionally, I will take with me all that I have experienced and incorporate that experience into my performances and classes in the future. This has opened a feeling of possibility for me of which I was previously unaware. I have a strong desire to be programmed through Culture Connect as much as possible, both to return to the same areas where I have just been as well as go to other new areas in the world. 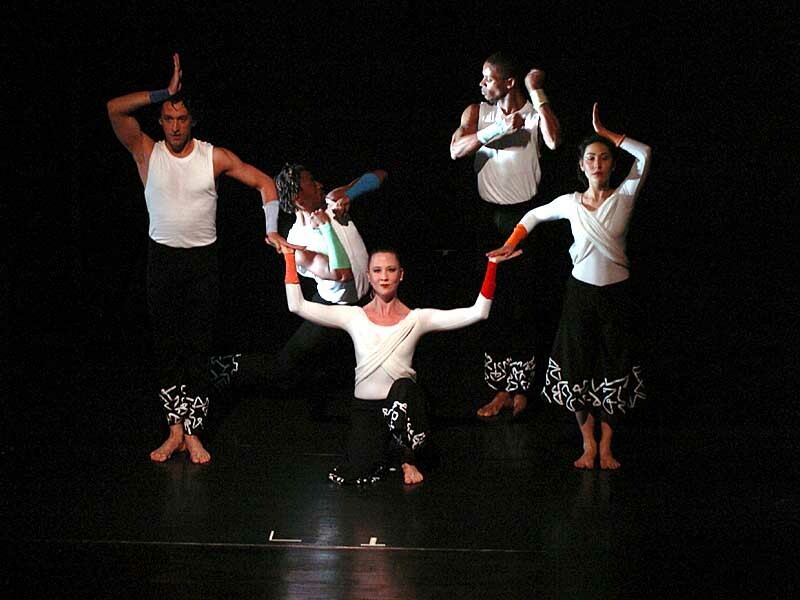 BDC Performing 'smoke' in Jordan, 2005. Please see Amman for details on BDC's trip to Jordan in 2005. 2 x professional Contemporary/Modern dance, 25 students per class. 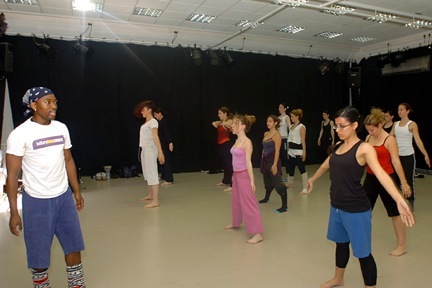 2 x Contemporary class for local students, 20 students per class. There was some confusion regarding local expenses and whether hotel accommodations had been pre-paid by the sponsors. Luckily, the dancer working in Beirut happened to take some cash with her. It is advisable to receive hotel accommodation confirmations and payment receipts prior to departing for the country. The BDC dancer was unsure about how to list the purpose of her visit and was subsequently detained for two hours at the airport until the matter was resolved. Be sure to explain to all travelers what they official purpose of their visit is and make sure that matches with whatever visa was acquired. 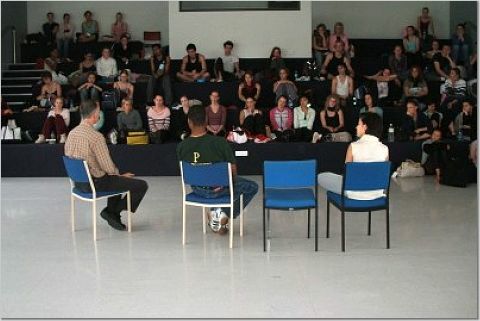 In 2005, BDC sent Lydia Tetzlaff to teach dance to a large cross-section of dancers based in classical ballet, contemporary and modern dance techniques. Her goals were to teach both aspiring dancers and non-dancers new techniques that are otherwise unavailable to them, and to open much needed lines of cross cultural communication between America and Lebanon. BDC follows the belief that dance is a special vehicle for this kind of sharing and communication as it is in the arts and human to human interaction, that perceived boundaries and stereotypes can be dissolved and overcome. This was evident in Lebanon. In Lebanon, BDC's goals were met beautifully- the entire trip was more successful and rewarding than BDC could have hoped for. Lydia taught up to 50 students of extremely diverse religious and socioeconomic backgrounds. In Beirut, Battery Dance taught for two professional companies, Maqamat Dance Theatre and Caracalla Dance Company, as well as for the school of Caracalla. 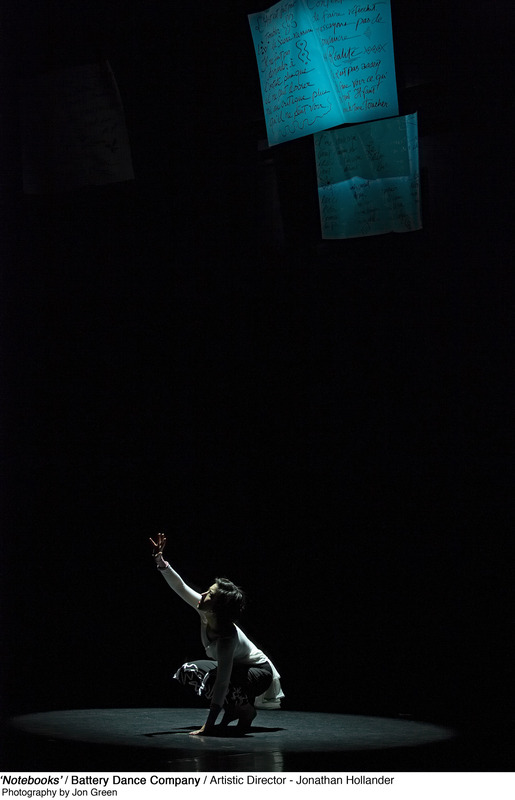 Maqamat is directed by Omar Rajeh, a former member of Caracalla, and a professional dancer. 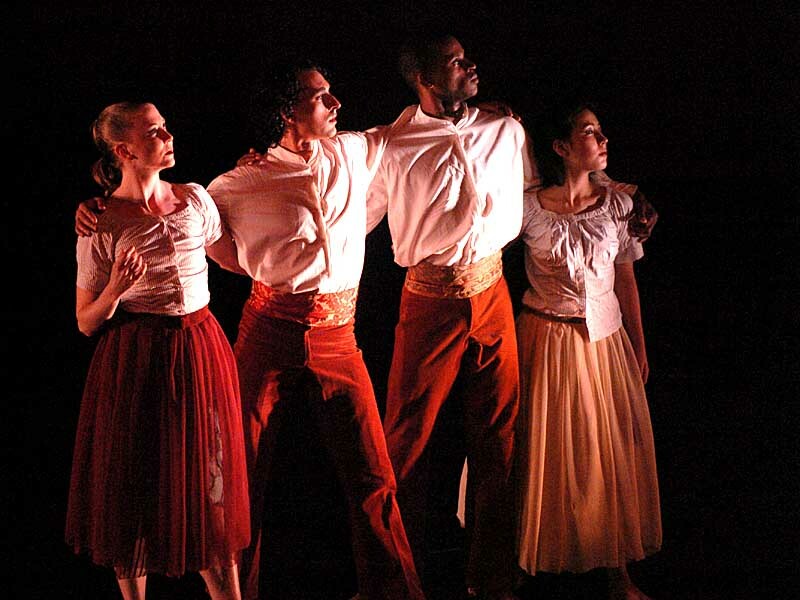 Most of the company members were predominately actors, and lacked much formal dance training. Lydia taught a Contemporary/ Modern class for about 15 Lebanese dancers, focusing on strengthening their technique and emphasizing freedom of movement. 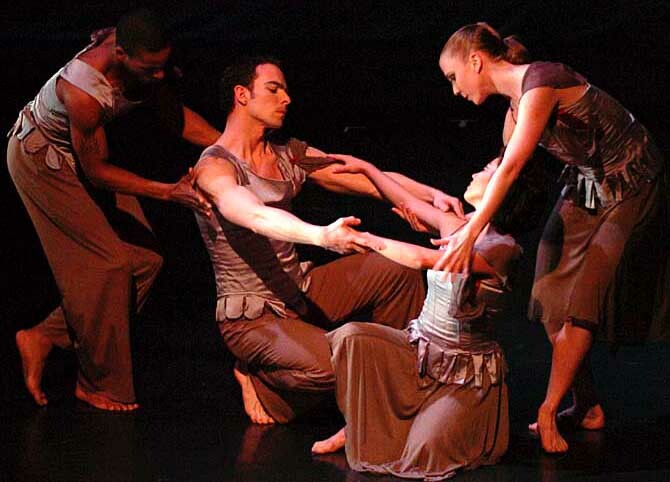 Caracalla is a firmly established professional dance company directed by Alissar Caracalla, and is arguably the most significant in the entire Middle East Region. Lydia taught two Contemporary/ Modern classes for the company (with approximately 25 dancers in each class), as well as two classes for the school (approximately 20 dancers in each class). The professional dancers were at a highly advanced level, approximately half Lebanese and half from other countries. BDC dancer, Lydia was able to offer the students and company new techniques and approaches to movement which they ordinarily would have had no exposure to. As for the reactions to the program, they were amazing and powerful. Every student, teacher and organizer expressed sincere gratitude for Lydia's coming, as well as strong and numerous invitations for BDC to return on a regular basis for more and longer programs. Lydia said that the benefits she received personally and professionally on this trip are more than she could express in words. Both the richness of the cultures with which she interacted as well as the hospitality that she received has given her insight into and understanding of people that she probably never would have experienced otherwise. It deepened her desire to learn and listen more, and to judge less. It deepened her belief that from one side of the world to the next people are people, and we can create substantial peace just by sitting down with someone we perceive as vastly different from ourselves and engaging in conversation. Professionally, Lydia will use this experience to inform her performances and classes in the future. She has a strong desire to be programmed through Dancing to Connect as much as possible, both to return to Lebanon and to other areas of the world. I had known the Odissi dancer Ramli Ibrahim for many years from his visits to New York that were organized by my close friend, the legendary Indian classical dancer and teacher Indrani Rehman. 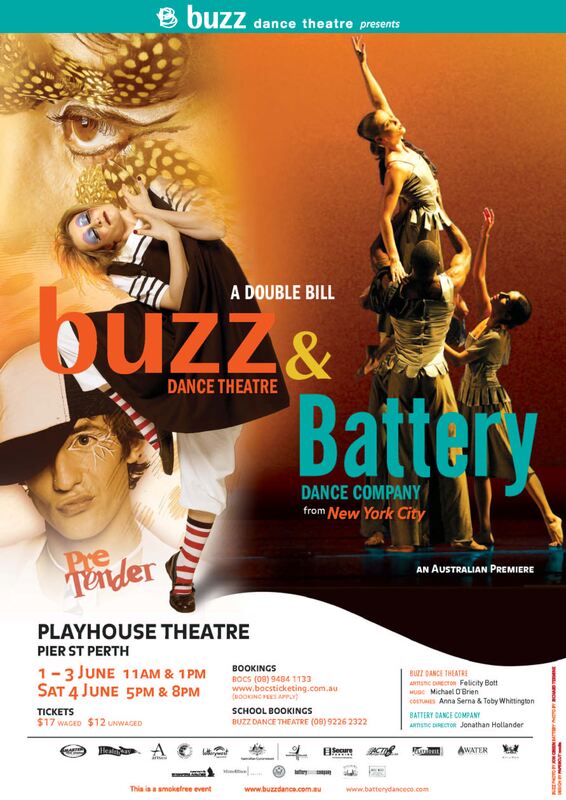 I had extended Battery Dance Company as an umbrella in sponsoring Ramli’s visa on one of those early visits and our studio for his rehearsals. As such, it was natural that I would ask him to be a partner and/or reference when I approached the U.S. Embassy in KL. Little did I realize how much resonance his name would have. I can still remember the PAO at the Embassy saying, “You know RAMLI?? He is the most celebrated dancer in Malaysia!” With a small staff and in the bad old days after the demise of the USIA (when Foreign Service Officers could actually receive negative evaluations if they strayed too far into the area of cultural programming), our program had been somewhat in doubt until that pivotal moment. My advice is to be open-minded and encourage your local liaison(s) to think creatively in problem-solving. Our problem in this case being that the only theaters that had the facilities and floor necessary for a performance of our size were already booked or too expensive. What was required was a good theater that would produce us and not charge the Embassy for rental, tech crew, etc. -- otherwise, the amount of money allocated for our travel and maintenance would go instead to local rental costs. The Embassy team was creative and resourceful: they approached the SGM (Soka Gakkai Malaysia), a Buddhist organization that had its own huge theater. Buddhism in a Muslim country? A religious organization as a sponsor for a secular performance? Attracting a mainstream audience in a suburban area? All the questions turned out to be irrelevant. Partnering with SGM was a stroke of genius. We had all the support we could have asked for in the way of tech crew, equipment, staging and so forth -- and we could barely fit our invited guests who came out from ASWARA, the Embassy and our hospitality sponsors, the Renaissance Hotel because the 1200-seat auditorium was packed to the rafters. Jonathan Hollander engaged the students in a 20-minute introduction, describing the programs, activities and history of the Battery Dance Company and answering questions posed by the students. A BDC dancer taught two master classes for students from the National Academy supplemented by dancers from the Temple of Fine Arts, Sutra Dance Theatre, and two national folk ensembles. Although the class size had been limited to 30 students per session approximately 75 students participated. The first session consisted of a Pilates-based sequence of stretching, centering and strengthening exercises. Some of the students were familiar with the methodology, but for most, it was a first exposure. The students followed well and put in a great effort. There was a wide range of ability in the room but all stayed focused and determined. After lunch and informal conversations with some of the students, a 90-minute modern dance class was conducted. The elementary level of the students was more apparent in this segment in which basic across-the-floor and adagio phrases were taught. The energy and enthusiasm of the students more than made up for their basic level of mastery. Following the modern class, the students of the Academy performed a traditional Malaysian dance, which was exquisite and touching. The BDC teaching artist who had led the earlier classes performed a solo to great appreciation from the students. Her popularity with the students was evidenced at the show at SGM Auditorium two nights later with whoops and hollers from the audience when it was her turn to receive an award. BDC Tech Director Barry Steele worked on lighting/tech issues for the 3 performances the company would give on the 26, 27 and 28. BDC dancers performed solos on a program which began with a classical Odissi duet performed by Ramli Ibrahim, one of the most highly respected local dancers, and his disciple, Revati. Though the weather was threatening, with rain falling 30 minutes before the scheduled start time, the weather cleared and the performance took place as scheduled, followed by a dinner served al fresco in the garden of Sutra House. The performance was attended by approximately 50 people -- culture vultures of K.L. including the Ambassadors of Australia, Switzerland, Czech Republic and staff from the national theater et al. The performance was aimed to highlight the possibility of building a local arts fraternity and to lead the way to future collaboration between the Embassy and Ibrahim’s Sutra Dance Theatre. 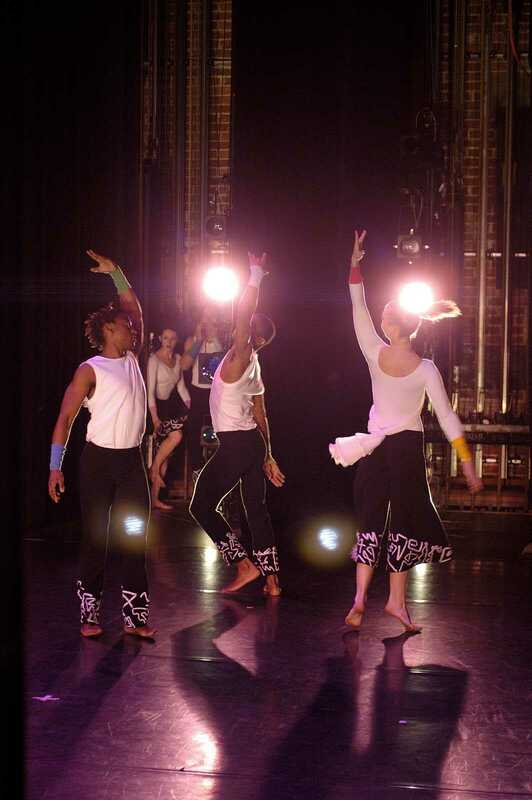 BDC performed Notebooks for approximately 300 guests. The audience was eating dinner during the performance, and despite best effort by the dancers, the impact was somewhat diluted. Many people were surprised by the aesthetic/style of the dancing - apparently having expected a more glitzy Vegas-style presentation. Conversely, Jonathan (a former Fulbrighter) was surprised at the lack of cultural sophistication of the audience comprising Fulbrighters and other international scholars. Despite this, the Cultural Coordinator of MAFAA approached Jonathan expressing interest in bringing BDC back to Malaysia for a longer, more comprehensive program of performances and outreach activities in the future. It remains to be seen to what extent this interest will translate into effective action. 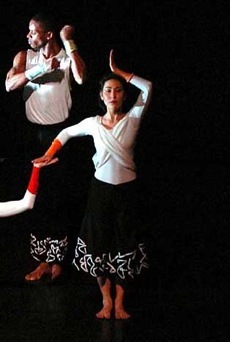 Likewise, a French national living in Malaysia and teaching music and art in a local school who attended both the Sutra Dance performance and the performance at the Renaissance promoted the idea of bringing BDC back to Malaysia. Jonathan met with Joseph Gonzales to share information on arts management, arts in education and trends in dance in New York. Gonzales expressed interest in developing an ongoing relationship with BDC. Jonathan also met with Ramli Ibrahim and Sutra Lighting Designer Shiva and discussed continued collaboration on a bilateral level. Approximately 1200 people attended the concert presented by BDC in Cheras, a location 30 - 45 minutes outside of K.L. 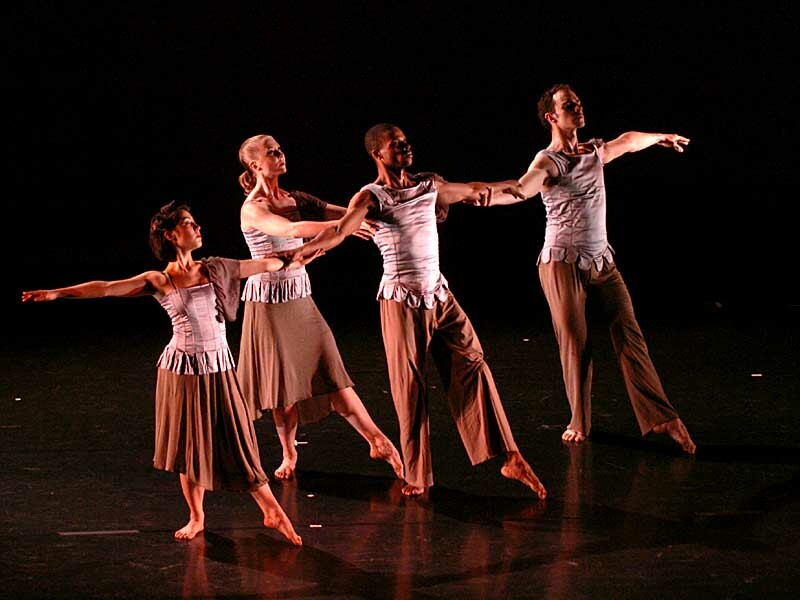 4 dance works were performed, showing the range of BDC's repertoire. The hall was full and the audience accorded BDC a standing ovation. The performance was outstandingly organized by the U.S. Embassy and the Soka Gakkai organization with very professional lighting and sound, coordinated by BDC's tech director Barry Steele, and organized with a rental package paid for by the U.S. Embassy. The rousing audience response (one of the most vocal BDC has ever received anywhere) demonstrated that modern dance could find a receptive audience in Malaysia. The Company was overwhelmed both by the cheers that followed their performances, and also by the lavish mementoes given by SGM to each member of the Company. The performance was followed by a light supper/reception at which time students from the National Arts Academy and other audience members had a chance to greet the dancers and share their reactions to the program. 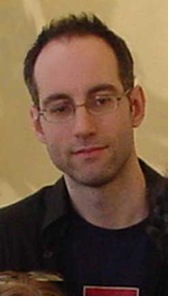 Jonathan was particularly struck by the comments of a young Malaysian writer who shared her thoughts about "Where There's Smoke" - which she deemed the most subtle and impressionistic work on the program; as well as expanding upon the Malaysian attitude towards Jews. Jonathan had mentioned in his remarks during the program that "Secrets of the Paving Stones" and its music by the Cracow Klezmer Band responded to the lost Jewish culture of Poland. The writer said that to her, dance is the best form of cultural ambassadorship - because it was abstract and therefore not subject to censorship, and yet potent and poignant in its emotional/philosophical impact. She said that Malaysians know nothing about Jews or Jewish culture, and that their prejudice cuts Jews two ways: as Zionists, they are despised as anti-Islam; as secularists, they are hated as denigrating the importance of religion. Please see the narrative for lessons learned. Dancers, students, teachers and community, foundation, corporate and government leaders offered to join the project, strengthening and expanding it into a truly bilateral effort. Together they have forged a joint approach to the exploration of a universal issue: how do the next generations of Germans and Americans respond to the Holocaust? At the heart of this expansive program of international cultural exchange is The Blue House project of Breisach, that demonstrates poignantly and powerfully the actions individuals can take to change attitudes and air social and historical injustices in their communities. The Blue House is an old building which served as the gathering place Battery Dance Company in “Secrets of the Paving Stones” by J. Hollander for Breisach’s 300-year- old Jewish community up until the community’s demise. After decades of neglect and decay, the house was slated to be torn down in 1999. Instead, it was purchased by a group of community members, the Förderverein, and restored as a living museum and memorial. With the building as a base, the Forderverein searched for the survivors of Breisach’s Jewish Community and their descendents. These individuals have returned to Breisach three times at the invitation of the Forderverein and the town government, and have shared their histories with community members and schools. The Forderverein, in its endeavor to enlarge the scope of its programs, has invited Geismar and Hollander to develop this new initiative joining art and social consciousness. I passed shoulder-to-shoulder with University students, holiday revelers, shopkeepers and shoppers, while simultaneously feeling the presence of the Jewish deportees, Nazi soldiers and everyday people of the 1930’s and 40’s in a surreal, layered march of time. The teenagers of Freiburg schools were unflinching as they created their emotional choreographies, avoiding the easy pull of show-off dancing; exposing a profound depth of feelings through movement. They tore at my heart, those young people, giving me renewed hope for the future and a surety that the ghosts I passed on the streets were smiling. See Ho Chi Minh City, Vietman 2005 for Lessons Learned. A ballet master class was taught by the Battery Dance Company at the Vietnam National Opera and Ballet with approximately 20 students participating. The teacher was very impressed with their technical proficiency and Jonathan was complimented by the VNOB administrators and teachers afterwards on the warm attitude and generosity of BDC’s teaching artists. The implication seemed to have been that some previous visiting artists had shown a more formal, less giving approach. A modern master class/workshop on contemporary dance was conducted with Together Higher, a hearing-impaired group led by Le Vu Long & Luu Thi Thu Lan, both of whom have been to New York under the auspices of DTW. The participants were wonderful – they approached every challenge with good spirit and effort, and succeeded admirably. The BDC teaching artist dealt with the new experience of working with disabled dancers quite well and forged a good rapport with the participants. Before the Hanoi Opera House Performance, welcome speeches were given by John Boardman, Chargé d’Affairs, U.S. Embassy; and Nguyen Van Tinh, Vice Director in the International Relations Department of the Vietnam Ministry of Culture and Information. 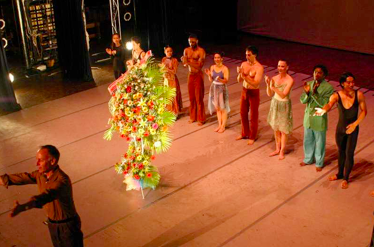 The welcome was followed by a full program of 4 works by BDC and 2 works by the VNOB. The Opera House was relatively full and the response was excellent. Lou Lantner, Public Affairs Officer of the US Embassy, commented afterwards that the applause was more prolonged and hearty than any program he had attended at the Opera House since arriving in Vietnam. Ambassadors of Spain, Mexico, the EU and various other diplomats attended the performance; however, the audience was predominantly Vietnamese.